As the Brexit talks were triggered, the old dispute over contested Gibraltar sparked again between London and Madrid; Brussels may take the Spain's side on the issue, according to British media. MOSCOW (Sputnik) — The European Union might support Spain on the issue of Gibraltar during Brexit talks, forcing London to reach a separate trade deal with Madrid on the British overseas territory, media reported Sunday, citing senior EU officials. "Spain are taking this very, very seriously… I think there is support across the board among the member states," an official told The Guardian newspaper. Earlier on Sunday, UK Prime Minister Theresa May said that the United Kingdom remained committed to support for Gibraltar and would never negotiate its sovereignty. On the same day, former Tory leader Michael Howard said that the UK prime minister would be prepared to go to war to protect Gibraltar as ex-Prime Minister Margaret Thatcher once did for the Falklands. 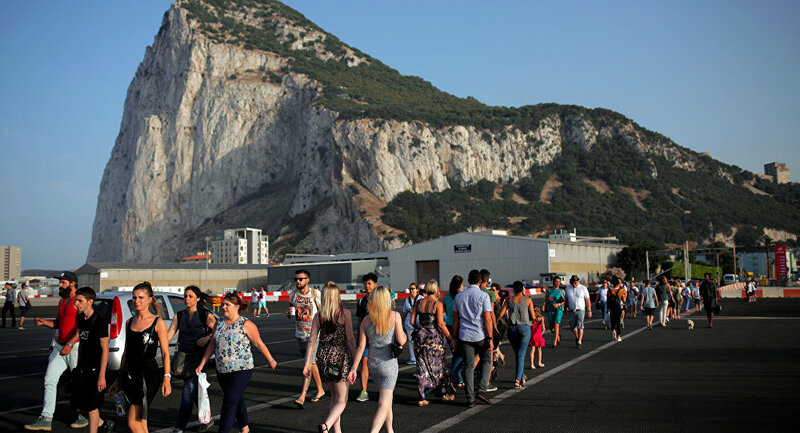 Gibraltar's status after the UK withdrawal from the European Union is one of the pressing issues in Brexit talks, with the union saying that no EU-UK deal might apply to Gibraltar without a separate agreement between London and Madrid, which claims sovereignty over the territory. On Wednesday, Spanish Foreign Minister Alfonso Dastis told the national parliament that Madrid would oppose extending EU-UK trade arrangements to Gibraltar to protect its economic interests in the area, following the official start of the UK withdrawal from the bloc. On Friday, the Gibraltar chief minister accused Spain of "manipulating" Brussels into granting it veto power on issues concerning the UK overseas territory during Brexit talks. Gibraltar was taken from Spain in 1704 and ceded to Britain in 1713. Madrid continues to lay claims to the territory, despite two referendums showing that most of its 32,000 inhabitants favor staying with the United Kingdom.